Choosing a mortgage is amongst the most important tasks facing any prospective homeowner. Your choice of mortgage can determine the affordability of your purchase. The wrong choice could mean that you are unable to keep up with your payment schedule – and it is therefore important that you think carefully about the options available. One of the most common choices in the mortgage market is between a fixed rate and a tracker loan. You will probably have heard about the difficulty of second-guessing interest rates, and therefore the problems associated with choosing one of these mortgage types. But what are fixed rate and tracker mortgages, and what are some of the main factors you should consider when making a decision? The terms ‘fixed’ and ‘tracker’ refer to the mortgage’s relationship with the base rate of interest. The rate you pay on a tracker mortgage will vary depending on the movement of the base rate. When the base rate goes up, your mortgage will get more expensive. When it goes down, it should get cheaper. A fixed rate mortgage, meanwhile, will stay at the same price for a set period of time. Your monthly repayments will remain static during that period. Fixed rate mortgages are time limited, and when that period ends you will generally be moved to a variable rate. Clearly, the primary concern when deciding whether to take a fixed rate or tracker mortgage is that of interest rates. Broadly, your decision will depend on what you think interest rates will do over the course of the next few years. In simple terms, if you think that interest rates are likely to rise during that period, you might choose to go for a fixed rate deal in order to protect yourself against increases – provided that the rate on offer is reasonable. Alternatively, if you think that rates are likely to remain low for the foreseeable future, and the fixed rates on offer are not particularly attractive, you might instead opt for a tracker. Perhaps surprisingly, though, the rate itself is not the only concern when choosing a mortgage. You should also consider things like the length of the fixed-rate period, and whether or not a lower introductory rate is on offer. You should also make sure that you understand any potential penalties that might apply if you switch your mortgage before the end of the fixed rate period – and, indeed, whether you will be charged in the event that you pay off the loan early. There are hundreds of financial analysts across the country whose job it is to predict what is going to happen to interest rates. At the time of writing, the Bank of England base rate is set at a historic low of 0.5 per cent. Very few analysts predict that the rate will be reduced further, although it is not out of the question. But commentators are split on when rates will rise, and by how much. 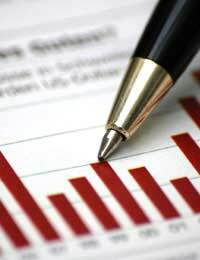 While the economic situation remains so unpredictable, this uncertainty looks set to continue. Some suggest, for example, that the Bank of England could push rates up to 1 per cent next year, while others expect to see rates stay down until 2013. Given the dramatic events seen in the markets over the past six months, you need to be prepared for the unexpected. This means that, even if you choose a tracker on the assumption that rates will remain low, you should make sure that you would be able to cope financially with an unexpected hike. Yes. Your choice is not limited to ‘fixed rate or tracker’. You should also make sure that you understand the difference between a tracker and a standard variable rate (SVR) mortgage. SVRs move according to your lender’s interest rate which will probably, but not always, move when the base rate moves. You should note that most fixed deals transfer to SVRs after the fixed period is complete. You should also ensure that you understand the difference between a repayment mortgage and an interest only mortgage. With a repayment deal you pay back the loan and interest simultaneously. With an interest only mortgage you pay off the interest each month, and are generally required to put money into a separate fund to ensure that you can pay back the capital when the loan expires. Finally, you should remember that choosing a mortgage is a major decision that can have a significant impact on your financial situation. You should always seek independent professional advice before making a choice.